Stick to the basics. Places for your baby to sleep, sit and stroll are all you need. Whether you're going out for an afternoon hike or a grocery run, the Diaper Dude Convertible Diaper Bag, $110, will hold all of your essentials. 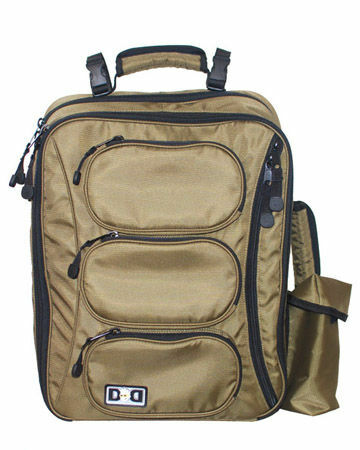 You can wear it as a backpack or messenger bag, carry it by the top or side handle, or attach it to your stroller. Plus, the unisex styling works for mom or dad. Leaving the house is a whole lot easier when you have good transportation. 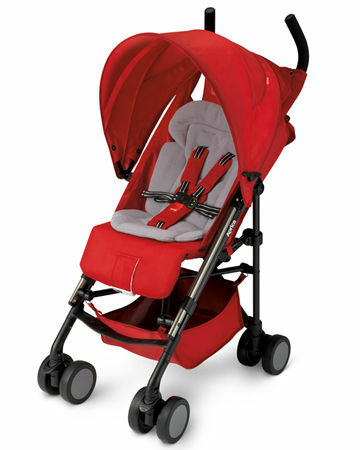 Consider a stroller you can use from newborn until your child is ready to walk. The Aprica Presto Flat, $200, offers a fully reclining seat for the youngest babies, or the option to snap in a Graco or Teutonia infant car seat with no adapter required. And unlike some stroller models, this one comes with a premium rain cover included. The buggy weighs just under 16 pounds, folds compactly, plus—parents, rejoice!—it stands on its own when folded and has a carrying strap. Newborn to 70 pounds. Traveling with a young baby has its challenges, but the right gear can make the trip a little smoother. For nights away from home, try the BabyBjí¶rn Travel Crib Light 2, $300. When you don't want the bulk of a stroller and you want to hold your baby close, a carrier is the way to go. The design of the Beautiful Life PAM Organic Moby Wrap, $63, allows you to hold your baby against your chest while using the entire width of your back and both of your shoulders to distribute the weight without uncomfortable straps. And this carrier also has a cause: A portion of the proceeds go to support Pregnancy Awareness Month, a nonprofit organization with the mission to empower, inspire and build a community of support for moms-to-be and their families. Believe it or not, babies sleep. A lot. 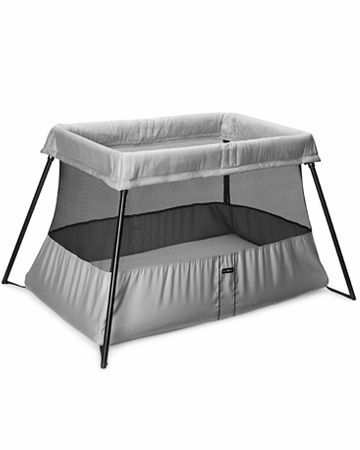 To minimize the risk of sudden infant death syndrome (SIDS), don't use loose covers or a bumper pad in the crib. Once your baby outgrows a swaddle, sleep sacks are a safe alternative to a blanket. We like: Aden + Anais Organic Muslin Collection swaddle wraps, $26 each; Halo SleepSack 5-Piece Crib Set, $80 and up; Summer Infant SwaddleMe Organic Cotton, $18.